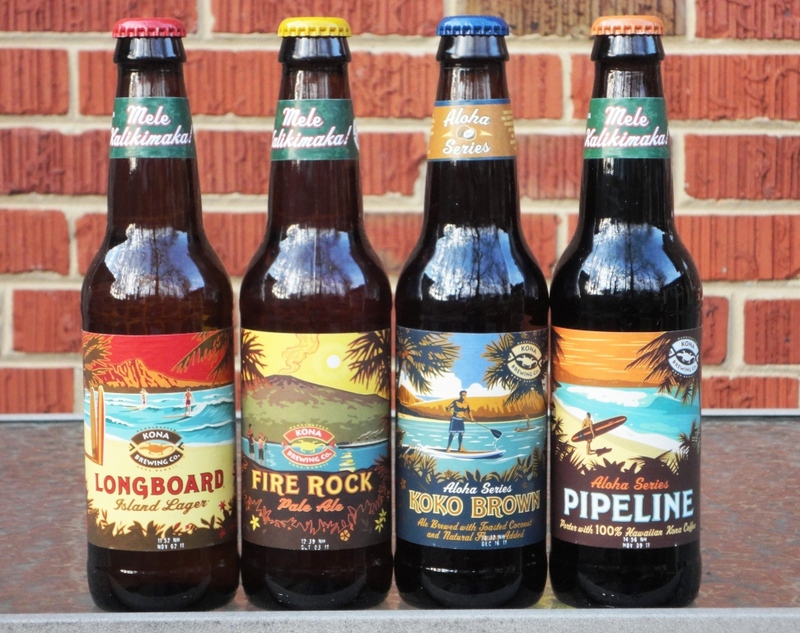 In this installment of the Beer of the Week series, we highlight Kona Brewing Company from Kailua Kona, Hawaii. As I wrote in my first Beer of the Week post, this series is inspired by Magruder’s weekly beer specials. Each week, Magruder’s features a brewery, whose entire line-up is on sale. On Fridays, a brewery rep is on hand to pour samples. Magruder’s Beer of the Week can be hit and miss. This week for example, they featured Shock Top. Yikes! I didn’t make my usual Friday stop. Longboard Island Lager, Kona’s award-winning Lager is a smooth and drinkable at 4.6%. Fire Rock Pale Ale, Kona’s “Hawaiian-style” Pale Ale is my favorite Kona beer (5.9%). Koko Brown Ale, this Nut Brown Ale is brewed with toasted coconut (5.5%). Pipeline Porter, this smooth and roasty Porter is made with freshly roasted 100% Kona coffee (5.3%). For buying a case, the brewery rep gave me a Kona sampler glass and a reusable Kona grocery bag. You gotta love beer swag!